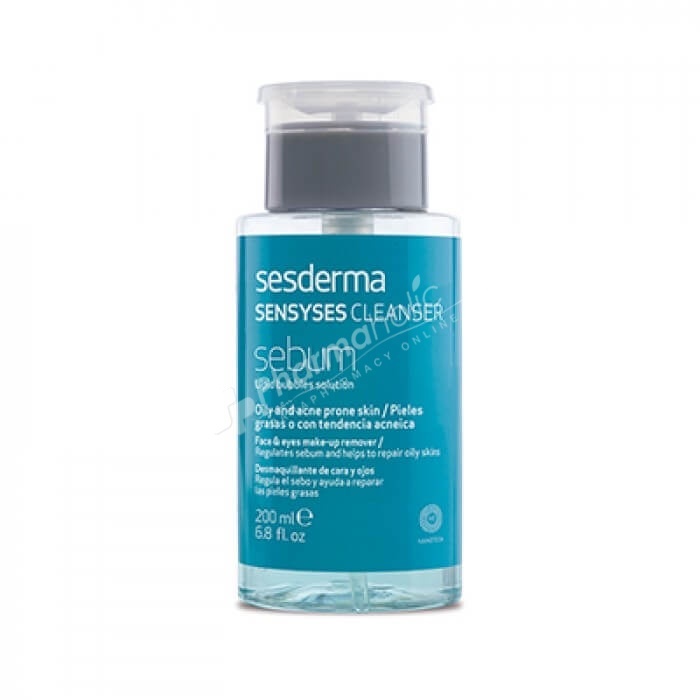 Sesderma Sensyses Cleanser Sebum is indicated for the daily facial hygiene of oily or acne prone skin. Sesderma Sensyses Cleanser Sebum is indicated for the daily facial hygiene of oily or acne prone skin. It contains zinc, copper sulphate and phytosphingosine liposomes, azeloglycin, ginkgo biloba a sebo-regulating complex that provides its seboregulating properties and the ability to repair greasy skins. Apply in the area to be treated to clean it by dragging with the cotton to remove the remains of impurities of the skin. Aqua, Pentylene Glycol, Glycerin, Alpha-glucan Oligosaccharide, Panthenol, Ginkgo Biloba Leaf Extract, Potassium Azeloyl Diglycinate, Cooper Sulfate, Cetylpyridinium Chloride, Thymus Vulgaris Flower / Leaf Extract, Phytosphingosine Hcl, Zinc Chloride, Polyglyceryl-6 Caprylate / Caprate, Polyglyceryl -4 Laurate / Sebacate, Propylene Glycol, Lecithin, Alcohol, Disodium Cocoamphodiacetate, Disodium Edta, Polysorbate 20, Sodium Cholate, Potassium Sorbate, Sodium Hydroxide, Pantolactone, Phenoxyethanol, Parfum.